"Jubilus Meditator" and "Jubilus Activator", these two albums are composed of ultra-high density overtone binaural beats orchestration. And its rhythms of combination tones are composed of drone tactics which is 1st used in the album "Sirius". Swirling of densed combination tones synthesize chaotic phenomenon of binaural beats. It exceeds the whole area of human audible range, it is too complex to recognise by the entire band including ultrasonic bandwidth. With the sounds through the headphones, "Jubilus" leads you amazing listening experience. 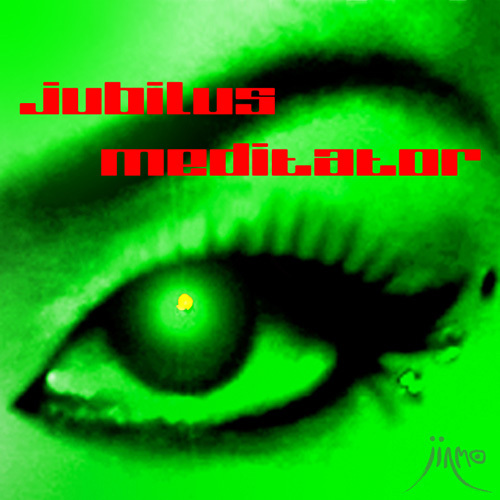 As its title suggests "Jubilus Meditator" is intend to be tuned to delta waves occur in deep meditation, and it realize binaural beats experiencefocused on 1Hz. "Jubilus Activator" is intend to be tuned to beta waves occur in awaken / active state, it is composed with focus on 20Hz. Since the release of "Jubilus Meditator" and limited preview release of "Jubilus Activator", we've received reports about "Jubilus" experience from some listeners who got copies of "Jubilus Meditator" and "Jubilus Activator". They have repeated deep listening to Jubilus series like monitoring themselves, and they recognized the altered state of consciousness under the influences of "Jubilus".